That’s a running roster of Internet heavyweights, making the Internet Association, once it launches, the effective face of digital companies. The IA will therefore be the voice of technology firms on issues concerning the Internet. This will provide a more unified front, response, and commentary on regulatory issues that impact technology, among other things. Lobbying efforts have risen sharply among technology companies in recent quarters. 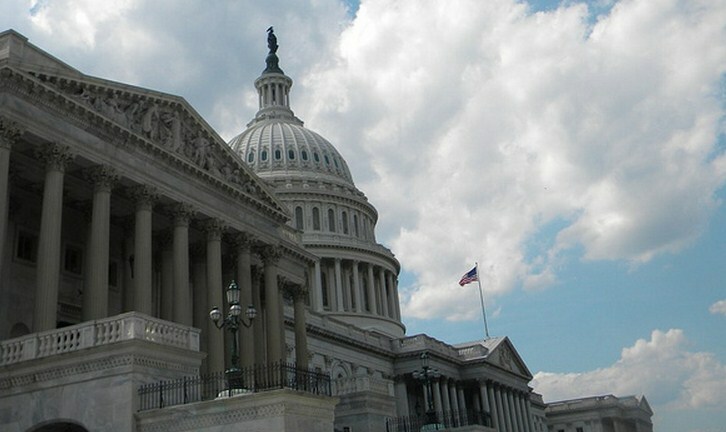 As TNW has reported, Facebook and Google have independently boosted their DC budgets and staff greatly, as their enterprises have increasingly come under the eye of Congress. Both firms are spending amply, which they can afford to do, to ensure that their perspective is known. However, such efforts are often viewed as simply self-serving, even if they might have a positive effect for the Internet as whole. The IA, by contrast, will be the aggregate view of major tech companies, making its perspective on any single issue appear less potentially self-focused. Such a group pronouncement will thus carry more weight than individual releases from each company that is component to the IA. Nothing against making paper, and building cubicles, but when it comes to the freedom of information and speech, being outraged [at efforts to chip away at those rights] is roughly the right thing to do. Let’s hope that companies that understand the Internet, and why it matters, will dig a little deeper than Comcast when the times comes, again. We were only a few months early, it seems. TNW has reached out to Microsoft as to whether it will be a part of the IA. Previously, Microsoft, and a host of other firms, tacitly supported SOPA through membership in the Business Software Alliance (BSA). Later, at its request, the BSA pulled its support, and Microsoft came out against the bill. Those actions were, in my view, pivotal to the turning of the tide against the bill. However, the company went right on backing the Protect IP Act, making the company a mixed bag in regards to recent policy questions. Its membership, or lack thereof, in the IA will therefore be very interesting, and potentially telling. With their combined money and influence, technology companies are stepping up to punch their weight. Exactly how the IA will operate isn’t clear, but its mere existence is a step in the right direction.